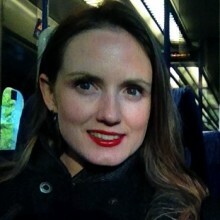 Dr Laura Downey is a Technical Advisor of the Global Health and Development Group at the Institute of Global Health Innovation, Imperial College London. Dr Downey provides assistance to governments to build technical and institutional capacity for health system strengthening and improving the value for money of healthcare investments. Dr Downey is interested in how to foster sustainable collaborations between policy-makers and researchers to build local expertise in collecting, synthesizing and utilising evidence to inform health policy. Dr Downey has been primarily involved with the Indian government in health system reforms since 2015; and also works closely with partners from Thailand, South Africa, China, the USA and the UK. Dr Downey teaches on health policy and health economics MSc courses at Imperial College London and held previous research positions at NICE UK, University College London and the University of New South Wales, Australia.